VPLS First Dual Recognition: Two Employees of the Month for August 2018! 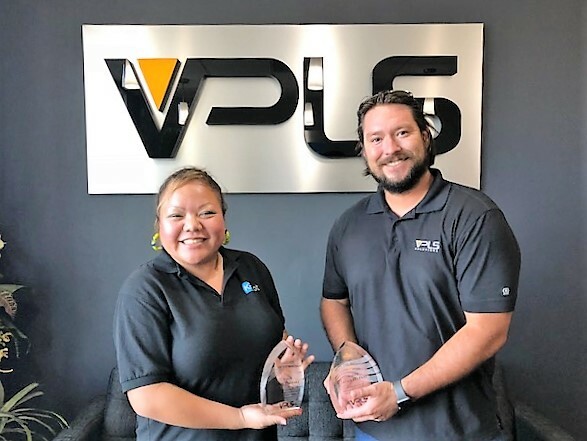 Usually, VPLS selects only one team member to be recognized as Employee of the Month, but for the month of August however, two teammates were equally outstanding, so for the first time in a while, two winners were named: VPLS Solutions‘ James Olofson and VPLS‘ Jenny Thunyakij. The first of the winning duo is Senior Solutions Engineer James Olofson. James is known as the company’s “FortiStallion” due to his deep knowledge and unmatched expertise in all areas Fortinet. James is also very friendly and professional leaving both colleagues and customers alike with a lasting impression. He is the perfect representation of what VPLS Solutions stands for in and out of the office . The second Employee of the Month winner for August is Executive Assistant Jenny Thunyakij. Jenny carries out the daily verbal and written correspondence on behalf of upper management. She also creates company-related content for social media and website pages while assisting her colleagues on various tasks and projects. She is the voice of VPLS and ensures that the right tone of the company always comes through in all that she does. Congratulations James and Jenny for bringing your best to the team on a regular basis! Keep up the good work! VPLS First Lunch and Learn Event: Zerto and CollectOne Conference! 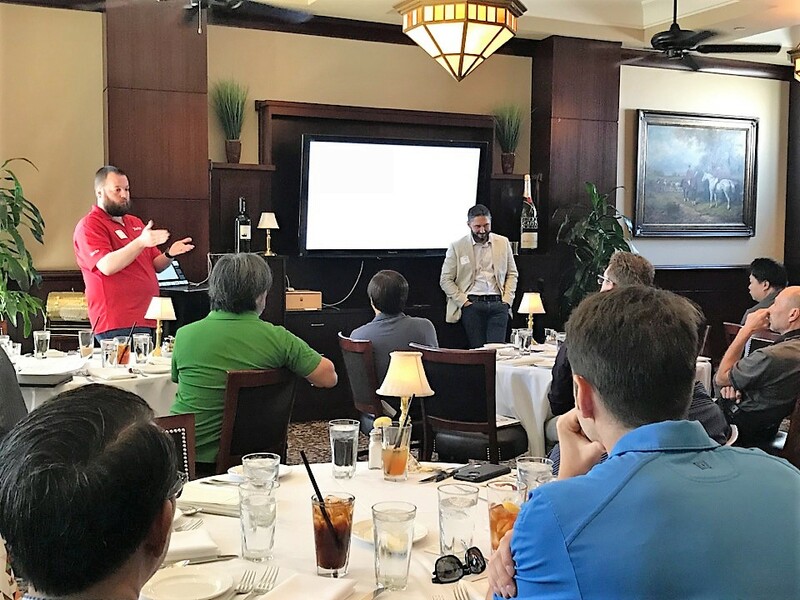 VPLS is no stranger when it comes to the cloud hosting or event hosting for that matter, but it was the first time the team hosted a Lunch and Learn featuring partners Zerto! This lead-generating event was held at The Capital Grille in Costa Mesa, California where almost every table reached maximum capacity! Zerto expert Bobby Silva and team did a fantastic job teaching attendees about Zerto solutions as the VPLS staff warmly acquainted themselves with all throughout the luncheon. 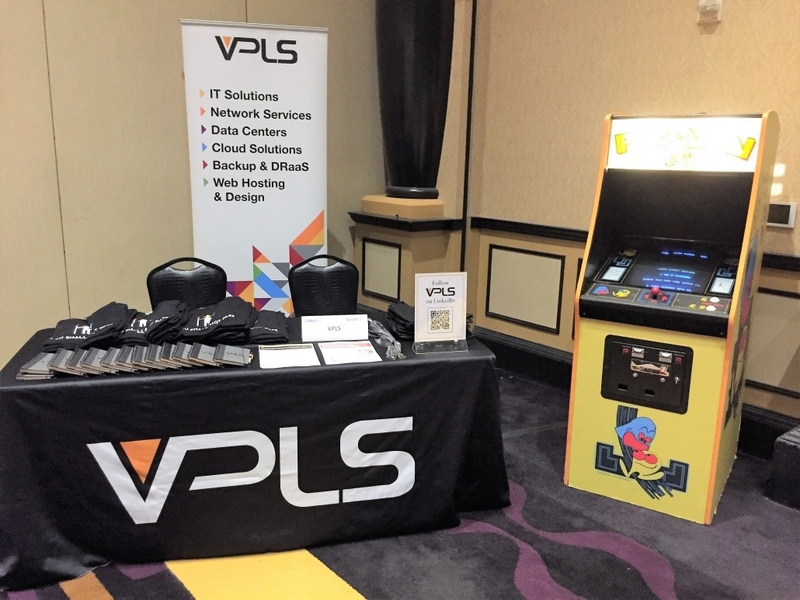 Also, earlier in September, VPLS hosted a booth at the CDS Sofware CollectOne Conference in Las Vegas equipped with an original Pac-Man arcade game! All who came by were intrigued by the retro machine which gave the sales team an opportunity to enlighten them about VPLS. Events such as these demonstrate that VPLS understands the importance of putting their customer first, thus separating them from other run-of-the-mill technology firms. VPLS First Time Project Embarkments: Alien Vault Managed Services, VDI, and San Jose Project! VPLS is always excited to take on new projects for their customers! 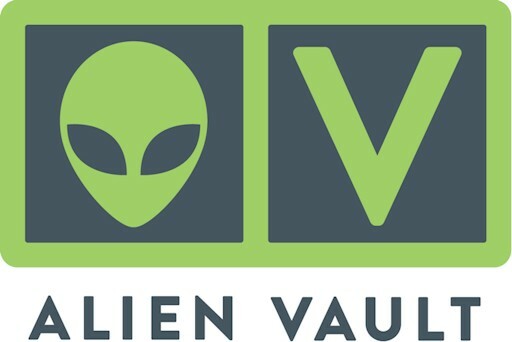 This past month, the VPLS team was able to successfully execute their first Alien Vault Professional managed services for their customer. With this service, VPLS provides support for 75 devices, offers 1 TB of log Storage, and provides 4 hours of monthly support. In addition to this, VPLS also triumphantly launched their first ever VDI with Cloud Pool services for 3 users that comes with specialty VPLS Tier 2 Managed Services, and the team was also able to completely disassemble their San Jose data center (due to outgrowth) without a hitch in only one day! It goes without saying that the VPLS team had a phenomenal September filled with countless opportunities for growth in all areas of the company! We hope that you enjoyed reading our company highlights for the month of September. We will continue to share more of our favorite moments in the months to come, so please stay tuned! Don’t forget, VPLS is an AlienVault Gold Managed Service Provider and deploys AlienVault Unified Security Management (USM) to protect thousands of endpoints, so contact us today! School Tech Policies Pros & Cons How Can Your School Benefit from Cyber Security?